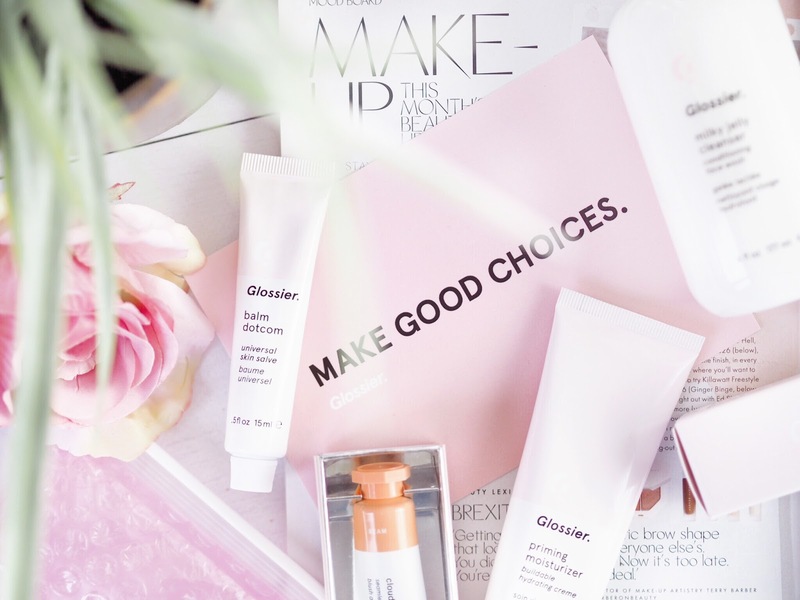 Glossier launching into the UK was one of the biggest pieces of beauty news at the end of last year. 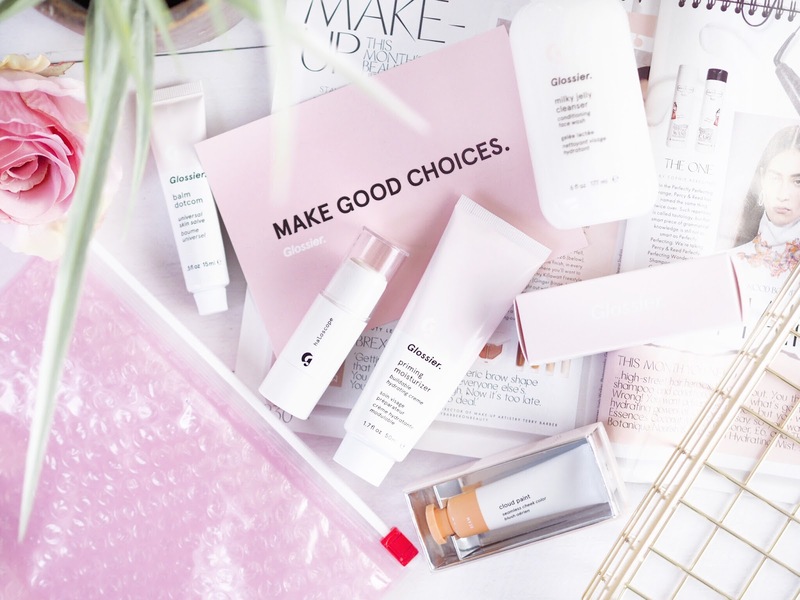 Everyone went wild for the brand, and suddenly Glossier packages were popping up on every platform with eagerness. I’d never tried any of their products before, but quickly I wanted to. And not just one or two pieces – I wanted to try everything, because it all sounded so good! But being the beauty hoarder I am, I struggled to narrow down my choices. So I started reading reviews and listening to people’s opinions on the best that Glossier had to offer. 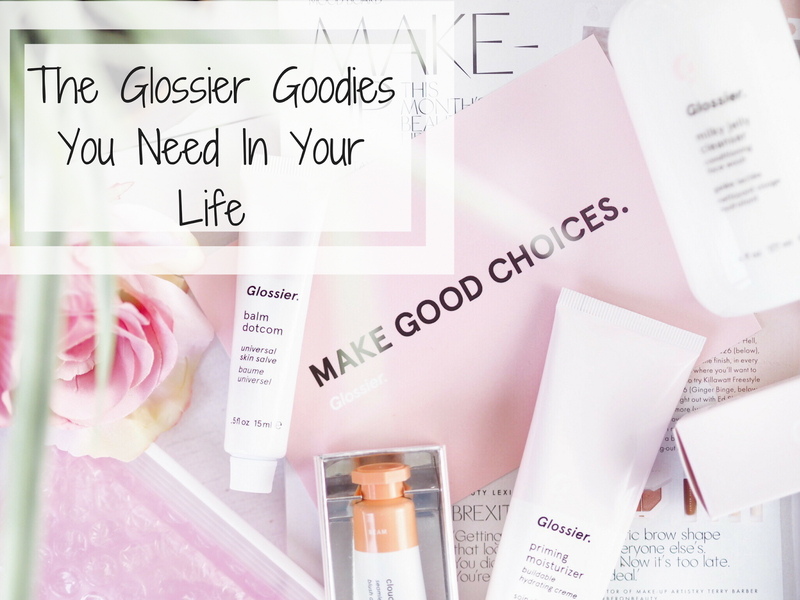 The result was that I tried a real arrangement of goodies and feel completely qualified to give my own humble opinion on where to start with Glossier. Which I hope will help others in turn to start their Glossier journey. Because quite honestly, you won’t look back! I think this was the first product that I saw everyone raving about. I have actually yet to read a bad review on this, so naturally it was one I was desperate to try out. The Milky Jelly Cleanser is one of those do-all products that will literally suit every skin type because it does so much! You can use as your twice daily cleanser because the jelly like texture melts make-up off, as well as removing grease, grime, oil etc. So basically anything on your skin and this is going to remove it. The jelly like texture feels so different to other cleansers, but it melts into the skin perfectly and you can even use it to remove eye make-up, which is pretty nifty. Considering it’s heavy on impurities and heavy-duty at removing build up, it’s actually really gentle to the skin. I find that a lot of cleansers leave my skin feeling dry and tight – and although my skin will feel clean after use, the tightness can be a bit restrictive. However the Milky Jelly Cleanser doesn’t leave skin tight – AT ALL! I’ve found the best use for me is in conjunction with my existing skincare regime. I now keep my Milky Jelly Cleanser in the shower, so I don’t forget to use it. Then while I’m having my morning freshen up, I’ll use a few pumps of this on my skin, to freshen up for the day. I then use my pre-existing routine in the evenings. For me the Milky Jelly Cleanser is gentle enough for my morning skin and does everything I need it to for my skin to be prepped for the day! 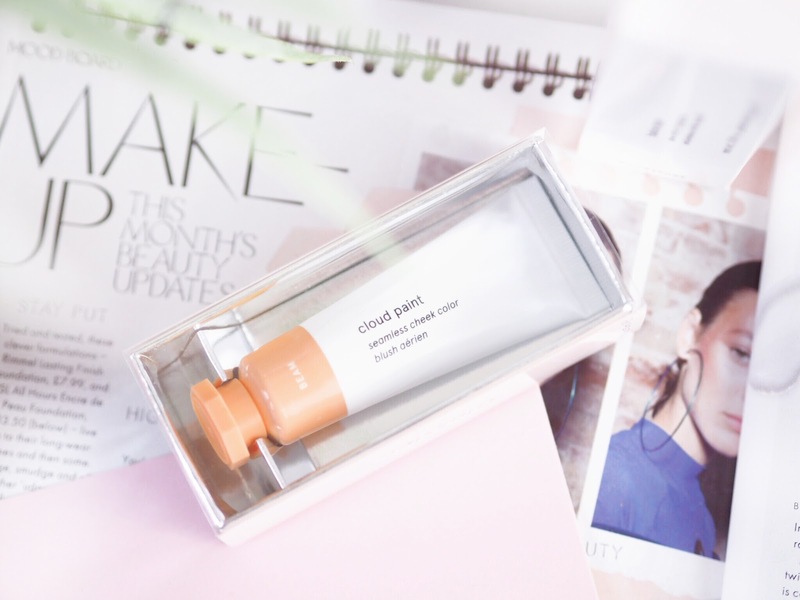 For £15 this is a product staple you’ll want in your Glossier basket. One product I hadn’t heard much about was the Body Hero Duo – but what I had heard, sounded great. I feel like there’s so many amazing skin products for the face, but body creams and lotions are either drugstore basics or high end and fragranced. There doesn’t seem to be something that works as well for the body as you can get for the face. 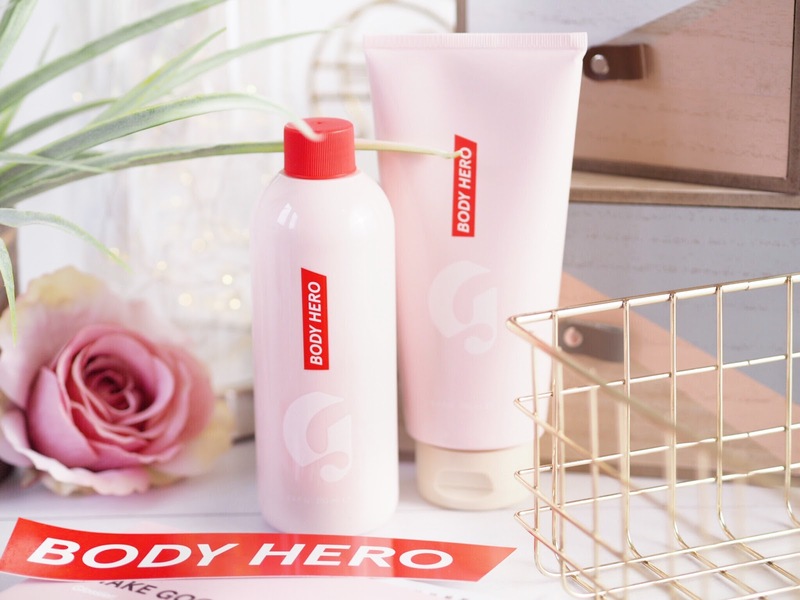 So I am really happy to be able to recommend the Body Hero Duo set. The two piece set contains a Daily Wash Oil and Daily Wash Cream which, together will deliver the same nourishment you’d expect to find in a face product. The oil is used first and it works by finding dirt, oil and sweat and then frothing it away while you wash. (It’s pretty cool.) And then the Daily Wash Cream is what you use when you step out of the shower. It absorbs fast and has a slight shimmer, so your skin looks radiant and the moisture helps to keep things feeling smooth. I’ve noticed a really big difference in my skin – especially the harder areas like my elbows and knees since I used this and for once I feel like my body care products have the same high standard as all the products I trust on my face. 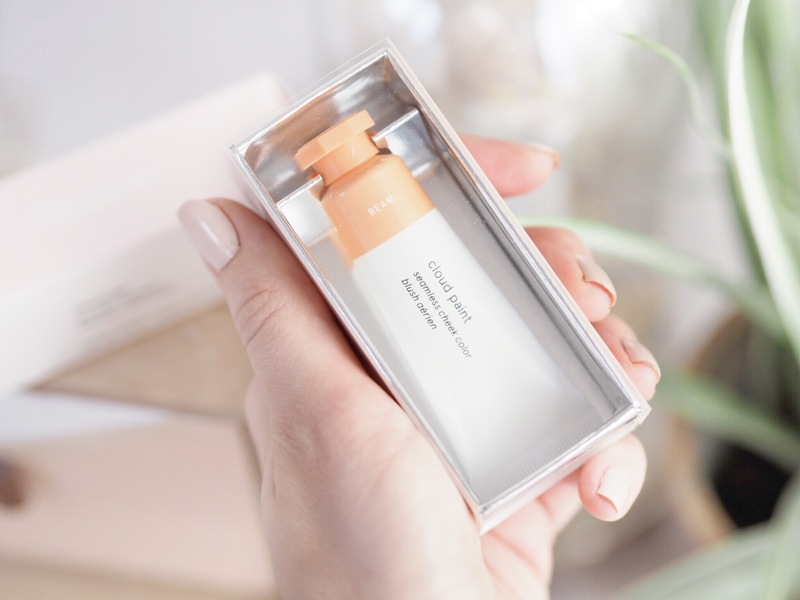 Another product that’s received rave reviews on the Glossier front is their Priming Moisturizer. And I can see why because my skin literally loves it! Another great product that works to combat multiple areas, this not only primes skin but moisturises too. The priming element plumps skin and blurs imperfections in the same way any good primer should. But it also has an anti-redness complex that I have found really makes a huge difference even if you don’t have blemishes. I have uneven skin tone and the anti-redness part of the formula has made this so much easier to combat. My nose for example, is a lot darker in tone and this primer really does create a perfectly blended base for my make-up. The moisturising elements of this also work really well for day wear, and as someone who can’t overload my skin in the mornings because I’m so oily, this really has made my life so much easier. I usually have to miss a moisturiser in the mornings because with cleansing, primer and make-up, my oily skin just freaks out. But this gives me a shot of moisture too, so my skin feels great throughout the day. 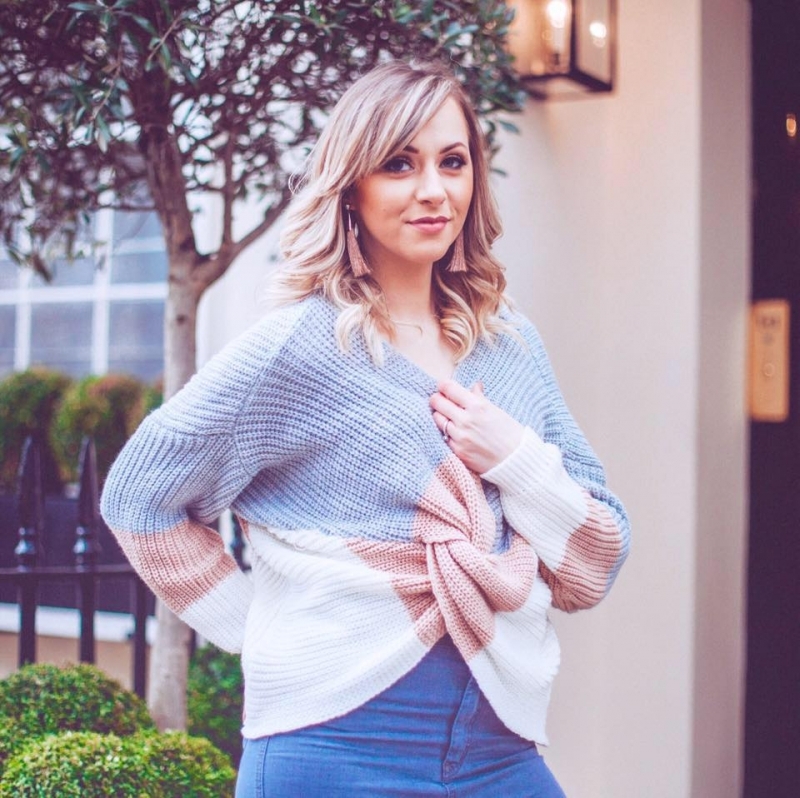 Again, I can see why people have raved about this and I recommend putting it on the reoccurring monthly send-out because once you try it, you’ll be seriously impressed! People have been raving about Balm Dotcom a lot, so naturally that was on my list of things to try. The lip balm and skin salve has a high beeswax content which means it locks in moisture. It reminds me of a much nicer Vaseline – and everyone know how much of a cult product that is! I like the lip balm a lot, it’s nice on the lips, non-sticky (thank goodness!) and does nourish my cracked lips. It’s pricey for a lip balm, but if you’re doing a Glossier order then add one in anyway as it’s a nice addition to your collection. 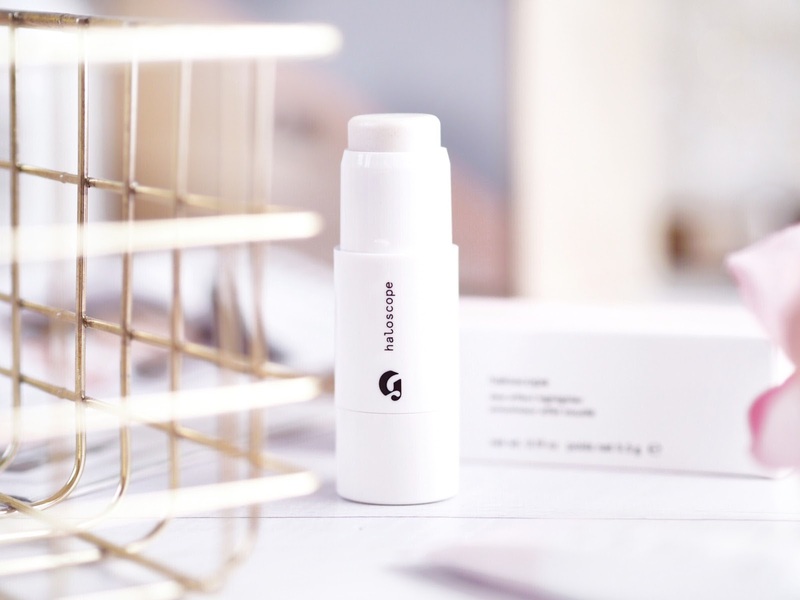 One thing I have learned about Glossier make-up, is that their products are great for either those who are active, on-the-go and need a quick pick-me-up – or for those who like to look nice without wearing a lot of make-up. With two kids, I often find myself in the first category. The Haloscope is essentially a highlighting stick, for a quick glow that you swish across the cheeks – bam, done. 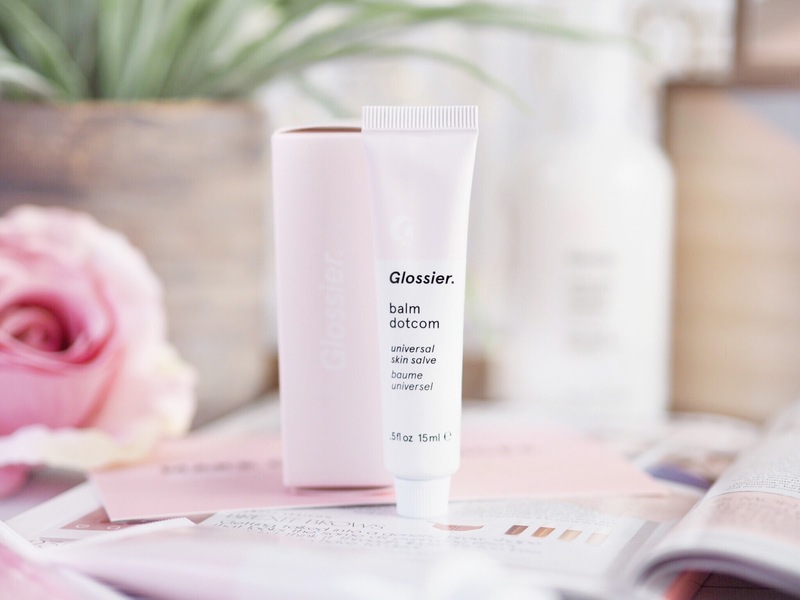 This one from Glossier has a two-toned effect, with the outer layer being the highlighting shimmer, and the inner layer being the moisture rich and nourishing one. Who’d have thought you could get a highlighter that moisturised too? Nifty, eh? I’ve got Moonstone which is the opalescent one in the range – so it’s very versatile for all skin tones. I like to keep this in my handbag as it’s a great everyday item. Although not one you’ll see as much as some of the others, this little stick really does perk up the face instantly, so I highly recommend adding it to your basket. So those are my six Glossier essentials and the ones I recommend you start your collection with. 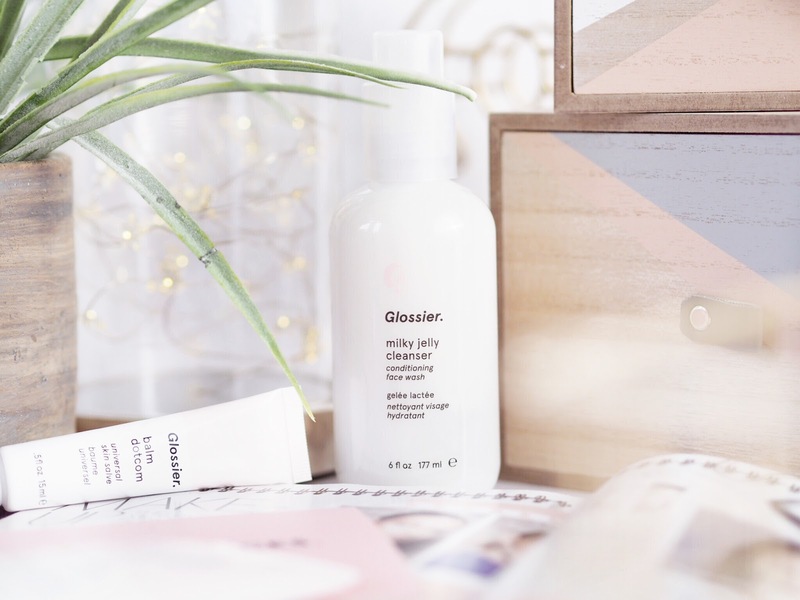 I am in love with the skincare products from Glossier and can full-on see why everyone raved about them so much, they really are great at what they do. And with the make-up, I love how Glossier have created products that work for minimalist make-up lovers as well as those who like make-up but need to save on time. 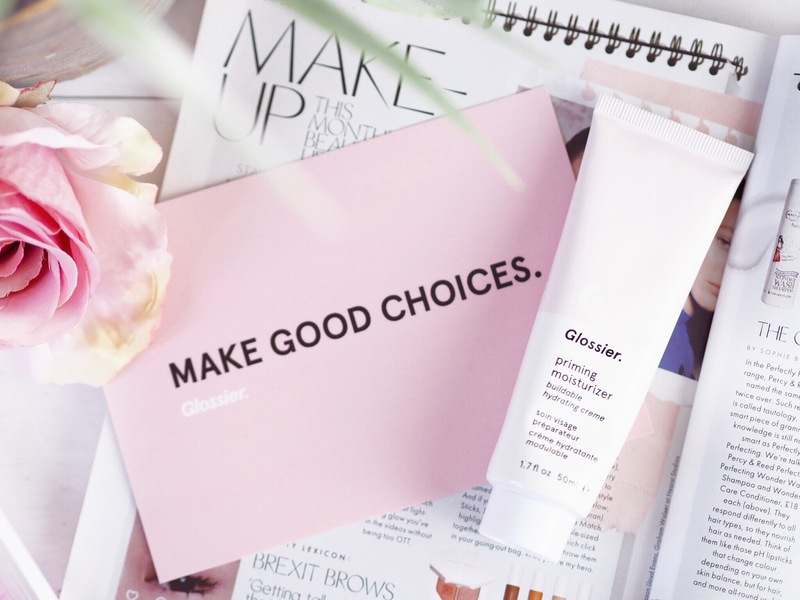 For me Glossier can easily become a staple brand, I’m certain that when you try them out, you’ll feel the same! Now, I’m off to compile my next Glossier shopping list! 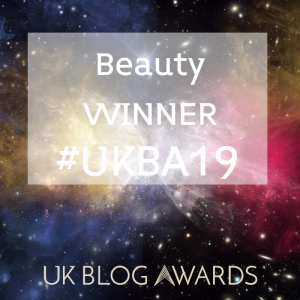 Previous Post My Big Beauty Shopping Secret – How I save Nearly 20% On Make-up and Skincare!